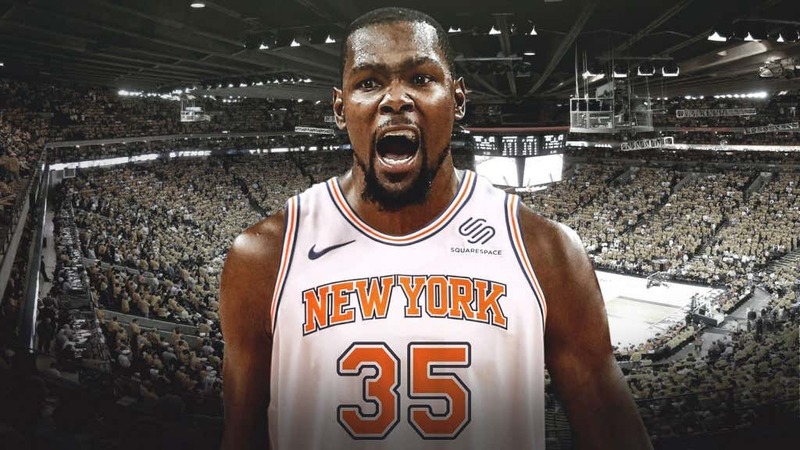 There have been a ton of Kevin Durant leaving the Golden State Warriors to go to The New York Knicks rumors circling the NBA especially after The Knicks traded Kristaps Porzingis to The Dallas Mavericks. And frankly, Kevin Durant in his press conference was not too happy about it. Kevin Durant plays good basketball. Oh and he’s pissed. Damn Kevin! I understand being upset about these questions when you just trying to hoop. But at the same time, Kevin has to understand that for one it’s their job, so just like he’s trying to do his job.. they are trying to do their job. Also, if it wasn’t for media coverage he wouldn’t be a multi-millionaire. However, they are definitely poking the bear. Lastly, his argument about “I play basketball the right way” is irrelevant. Anyways, I still believe that Kevin Durant is going to The Knicks.